Keep your clothes dry and protected throughout the workday with our Waterproof Grooming Aprons. Bone print adds more fun to this apron. Pockets design allows to put small items more easily. Contact us if you have any problems,we would be glad to reply you within 24 hours. waterproof anti-static pet grooming gown apron. waterproof. Non-stick, easy to clean. Antistatic. 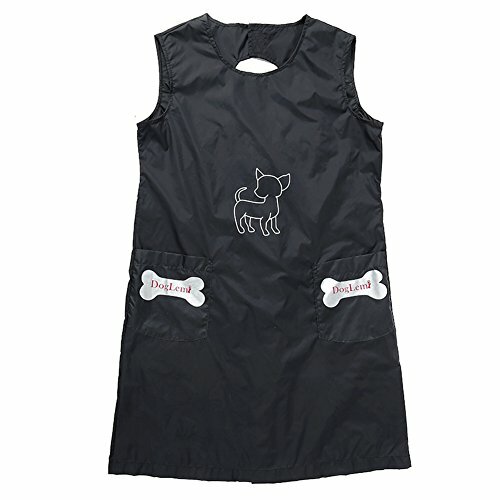 Keep your clothes dry and protected with this waterproof grooming apron when washing your pets. If you have any questions about this product by Kuoser, contact us by completing and submitting the form below. If you are looking for a specif part number, please include it with your message.